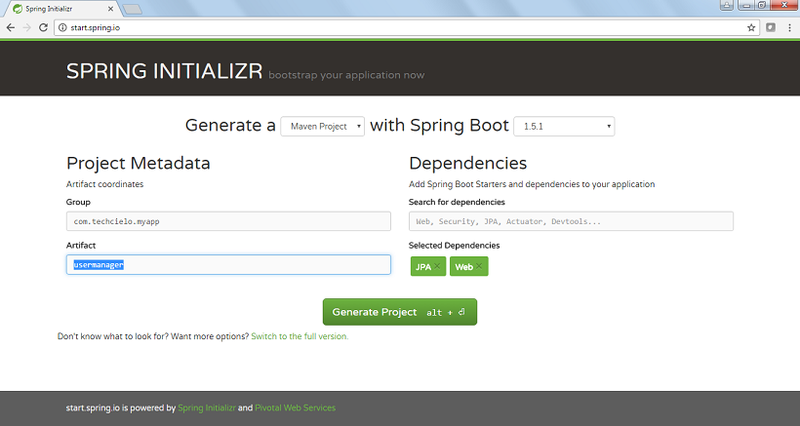 Now click on Generate project and project will be downloaded on local machine. 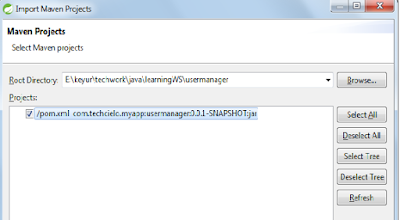 Extract and Import this project in your STS workspace. STS will download required libraries and build the initial project. One all download is completed right click on project ==> Maven ==> Update Project. 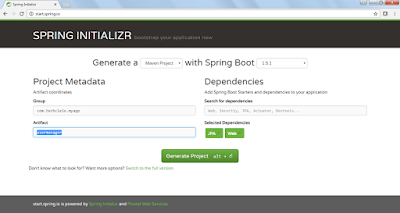 It will remove all dependency related issues and build you a clean Maven project with Spring Boot, Spring Data JPA and Hibernate dependencies. 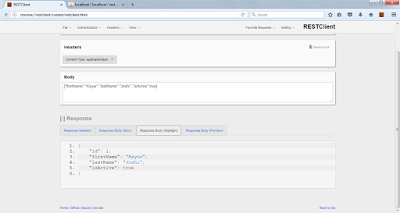 We also edit pom.xml and add dependency for MySQL java connector. 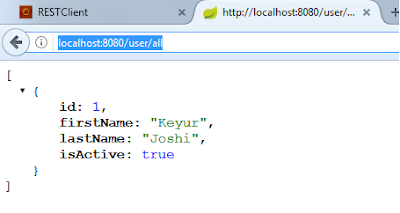 Now lets create Entity class for this table as follows. And a repository to access this entity. We also create a REST controller to access this Business entity. Once these classes are created right click on Generated App class (in this case UsermanagerApplication.java) ==> Run As ==> Java application. 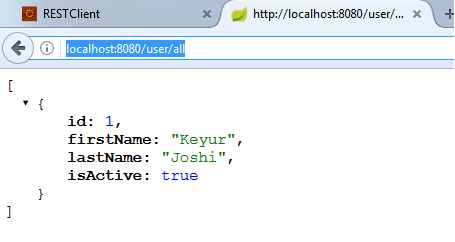 It will start inbuilt Tomcat server and make REST services available on port 8080. You can see certain REST urls in logs as shown below. 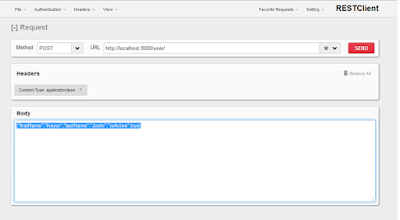 Now first we create few users with POST requests using POSTMAN or RESTClient. 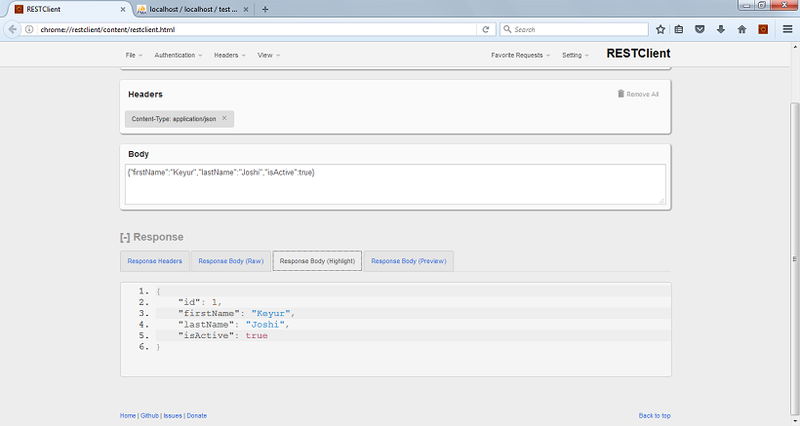 I am using RestClient from Mozilla Firefox. Now send this request and you will get response as shown below. 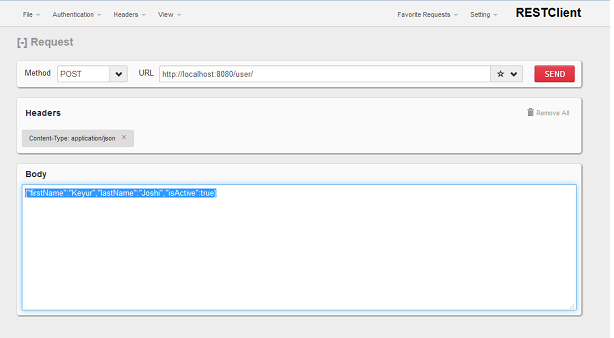 Now send GET request by RestClient or use url in browser to check if POST call has successfully added User in DB or not.